The guy's over at www.Divineo.com have recently given 360-Hq the opportunity to review "Team Xecuter’s RROD Fix" which can be used to fix most Red Ring Of Death (RROD) errors for the Xbox 360. Our review and associated tutorial is based purely on preventative measures for the RROD but we will make an educated guess on how well this will work for fixing the RROD itself since our team have fixed 100's of RROD machines. Thanks must go to our friends at www.Divineo.com for hooking us up. To start the review we will first explain a bit of background information. If you are on the 360-Hq homepage click read more to check out the full review! 360 Evolution is a revolutionary Xbox 360 editor which allows the end user to Display and Modify information contained within Xbox 360 Container (CON, LIVE, PIRS) files, Save Game files (Halo 3, Modern Warfare 2, etc.). A revolutionary Xbox 360 editor which allows the end user to Display and Modify information contained within Xbox 360 Container (CON, LIVE, PIRS) files, Save Game files (Halo 3, Modern Warfare 2, etc.). o XPort / XSATA - See CodeJunkies for further information. o .NET Framework 3.5 - Built into application. A few weeks ago I drew your attention to Turtle Beach’s Ear Force X1 Headphones. Well this week I’m here to offer up a full review of these headphones. Ear Force X1 amplified headphones give serious gamers the ultimate competitive edge by combining Xbox Live chat and stereo game audio into an immersive sound experience. X1's integrated design overcomes the limitation of communicator headsets that block game sound from one ear and eliminates voice chat interference caused by the headset microphone picking up sound from external speakers. High-quality, comfortable, amplified headphones with a built-in microphone for game audio the way it was meant to be heard. Boosts the sound level for a spectacular gaming experience. Features a game audio volume control and microphone mute. The included 'puck' lets you connect the amplifier unit to the Xbox controller, so you can communicate with friends and foes during your gaming session. Xbox Live chat volume is also adjusted from here. The included splitter cable lets you keep your existing speakers (or TV) plugged in, so you can easily switch between speakers and headphones. Jazz, Techno, 80’s Ska & Standard Chart Music. I just released a big update of my tools, you will now be able to find the 'magic number' immediatly, without having to scan an unknown Xbox 360 DVD. So there's no longer a difference between known and unknown games, they will all be detected/dumped the same way. The advantage of this method is that you will be able to use wx360 directly to open the content of the DVD without having to dump it first. After doing the hot-swap you'll just have to open wx360, select the DVD-drive and click the DVD icon. wxRipper will thus have a feature to find the 'magic number' immediately, without scanning the Xbox 360 DVD. The features related to dumping did not change. 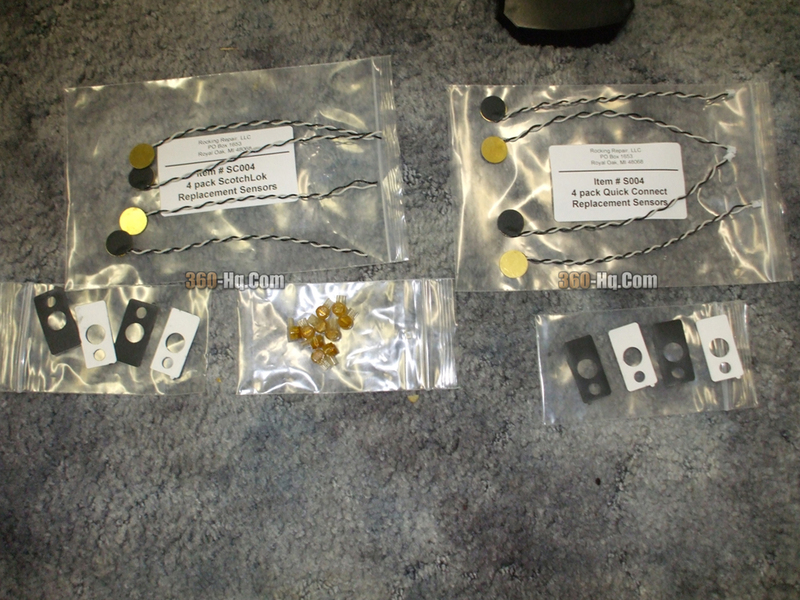 The guys over at www.RockingRepair.com have recently given 360-Hq the opportunity to review their "Replacement Rock Band Drum Sensors" which can be used to replace your old sensors that may be worn out or cracked. They have two different kinds of sensors, the Plug and Play Sensors as well as the Quick Crimp Sensors, and we got a chance to review both. Thanks must go to Rocking Repair for this opportunity to review their product. If you are on the 360-Hq Homepage click Read More to check out the full review.